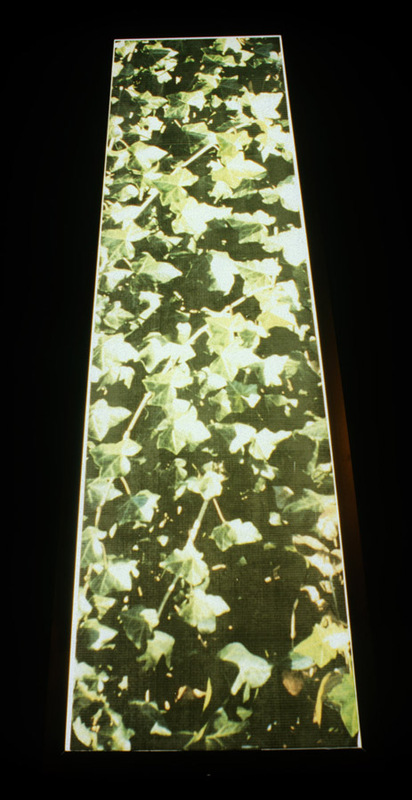 “Windowbox”, 2000, Installed at Block Artspace at the Kansas City Art Institute, Missouri. The H&R Block Artspace at the Kansas City Art Institute is pleased to announce the opening of Lee Boroson: Windowbox, a site-specific installation created especially for the Artspace gallery. An opening reception will take place on Friday, November 10, from 6:00 to 8:00 p.m. at the Artspace. 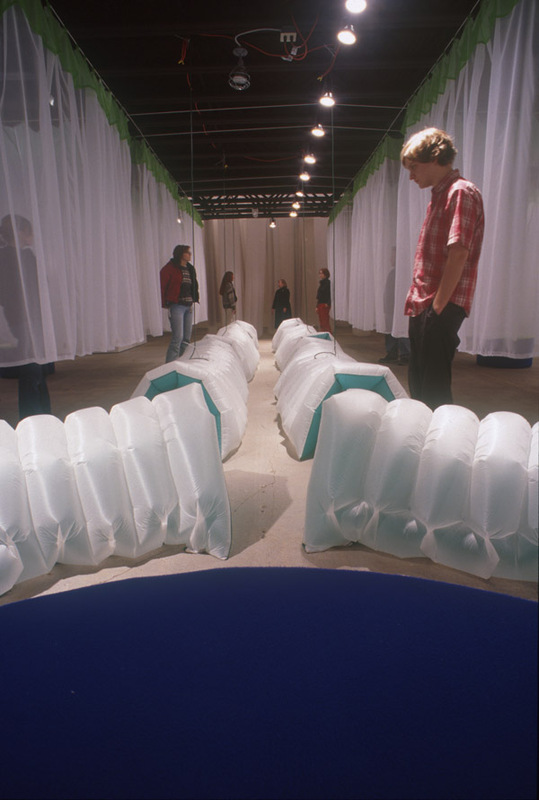 A gallery talk with Lee Boroson is also planned on Saturday, November 11 at 2:00 p.m. The exhibition will continue through December 20, 2000. The Artspace hosts its first artist-in-residence, Lee Boroson, a Brooklyn-based sculptor and installation artist for this exhibition. 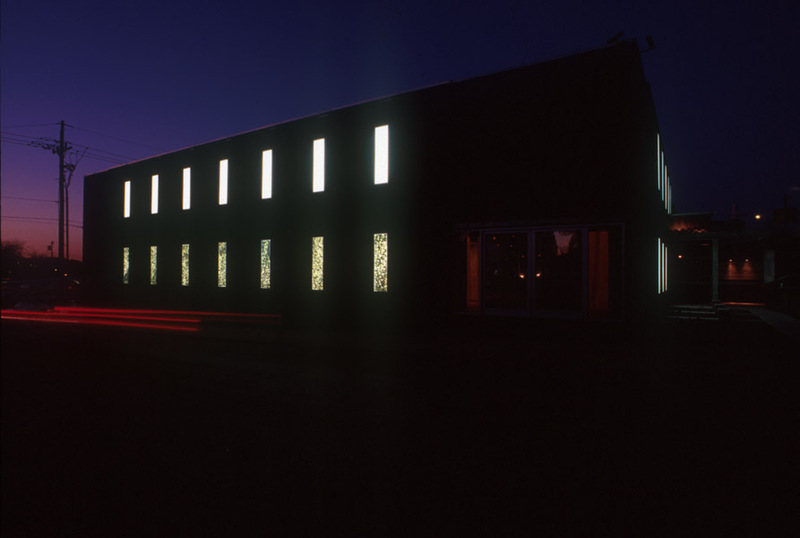 Created especially for the Artspace, Boroson’s site-specific installation Windowbox responds to the architecture of the gallery and addresses issues of design, aspects of navigation and perception, and the psychology of space. 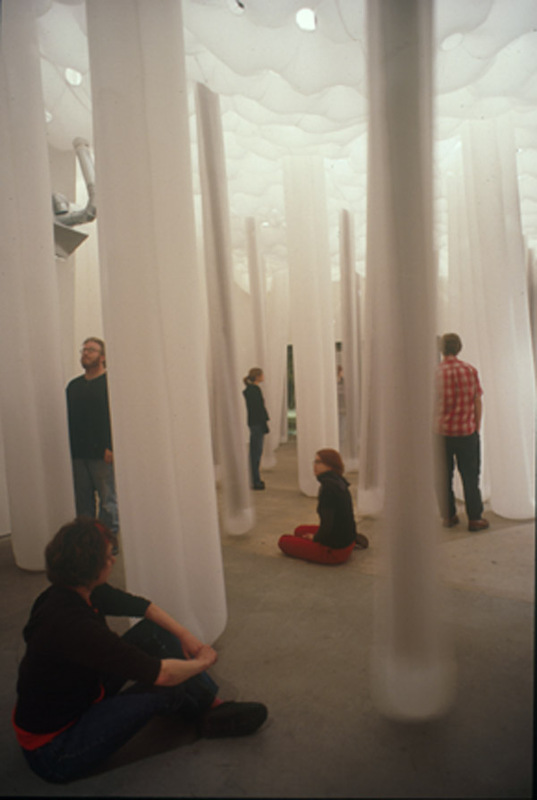 This installation, created with over 1,350 yards of translucent nylon fabric inflated by the building’s HVAC system and additional mechanized fans, will alter and completely transform the 3,000 square foot gallery space as it navigates viewers through a unique interior garden environment. 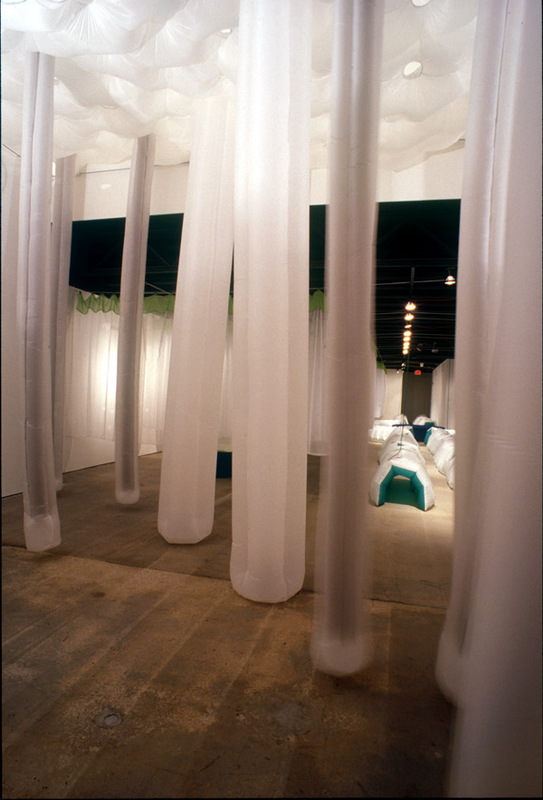 For this installation, Boroson was inspired by a variety of sources including the architectural plans of the Artspace, systems of city planning and landscape design such as the urban parks and boulevards found throughout Kansas City, and historical characteristics of Italian renaissance garden design. Overlaying designs and plans for the gallery with elements of garden design, Boroson has combined these ideas to envision and create an interior garden setting that responds and interacts directly with the distinguishing features of the architectural space. Windowbox invites viewers to experience and imagine the spatial environment in a new way, focusing our attention on the space. Over the past two decades, installation and site-specific work have slipped into the mainstream of contemporary art. 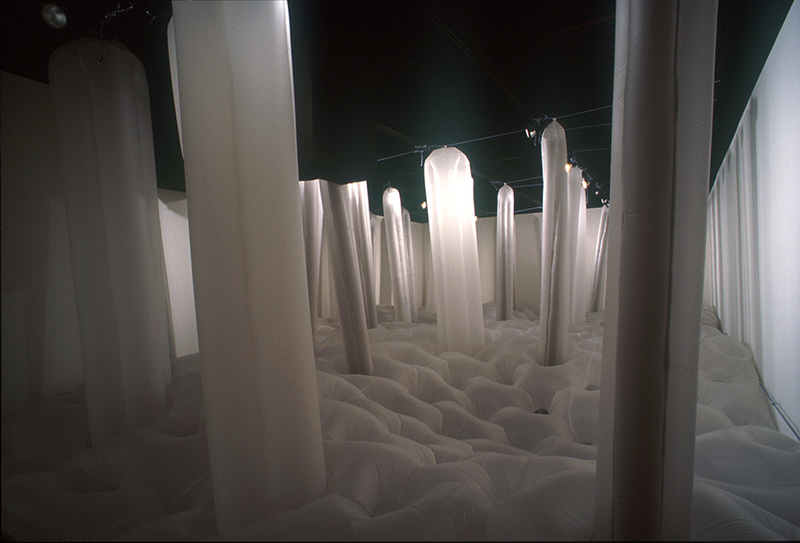 Currently, a new generation of artists is continuing to experiment with the unique conditions of three-dimensional form and space, revisiting and further exploring the challenges that have been the ground of exploration for much contemporary art from minimal art and post-minimal sculpture to postmodern art, regardless of discipline. Windowbox is curated by Raechell Smith, Director of the H&R Block Artspace at the Kansas City Art Institute and will be accompanied by an illustrated brochure with an essay by the curator.